Ind vs New zealand tour starts from Wednesday, 23 January till 10th February, Sunday. RCB fans will be desperately waiting for this tour as their RCB fellows Tim Southee, Colin De Grandhomme and King Kohli will be in the battle field. Seeing the recent form of Marcus Stoinis, he is almost sure to be in Starting XI of RCB this year and Colin might have to rest at the bench. But, if Colin de grandhomme shows fabulous performance in this series, he will a competitor against Stoinis. Whatever the case, it’s always a win-win situation for RCB fans and management. Similar is the case with Southee, RCB fans will be eagerly waiting to see his death over bowling which has always been a concern for RCB team. If he fails in this series then Nathan Coulter Nile will be the prime choice in Starting XI since he has shown good signs in BBL. 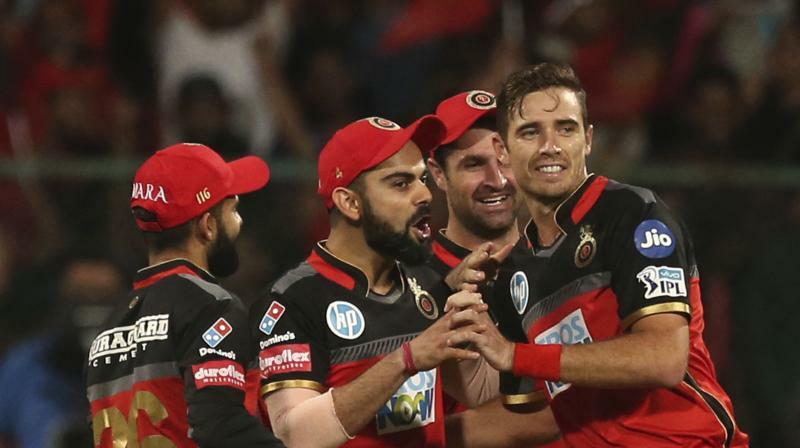 At last, an always a treat for RCB fans is to watch the King kohli battling (not batting) against his RCB duo southee and Colin. Kohli has always been a great performer and he is current cricketing beast. So it will be a great fortune for RCB fans if he continues his tremendous form. Who are you rooting for in this series: India or New zealand?